Gevrey-Chambertin is one of the most recognized appellations in Burgundy for good reason. At the commune level, these can be immensely satisfying Pinot Noir-based wines, substantial, dark-hued, infused with assertive fruit and heady aromatics. The distinction of Gevrey-Chambertin becomes unmistakable in the Premier Cru and Grand Cru vineyards. There you find the muscularity and structure that sets this appellation apart from all others. We are pleased to offer a range of wines from one of Gevrey-Chambertin’s most respected producers. 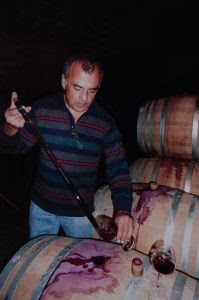 Dominique Gallois took over the family vineyards from his father in 1989. The small domaine is around 10 acres, the bulk of which is centered in Gevrey-Chambertin. Cultivation and winemaking are aimed at producing wines that are pure and speak of their unique terroir. The Gallois cellars, constructed by Dominique’s great grandfather in 1901, are reputed to be some of the coldest in the region, which helps to create wines of great depth and longevity. These are pre-arrival prices good until this Sunday. 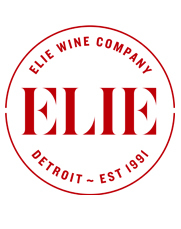 All of the wines will be available for pickup within the next couple of weeks. A blend from 10 parcels situated around the village of Gevrey-Chambertin including En Songe, En Jouise, En Billard, En Dérée, Croix des Champs, Sylvie, La Justice, Charreux and two parcels of the clos surrounding the Gallois home. Average age of vines from these parcels is around fifty years. 800 cases annual production. The marl-limestone climat “Petits Cazetiers” is an extension of Cazetiers at the bottom of the Combe aux Moines. This tiny vineyard faces due east and is particularly well protected from bad weather. The vines were planted in 1954. 91 cases annual production. One of Gevrey-Chambertin’s most sought after climats, “La Combe Aux Moines” is comprised of shallow clay-limestone on slabs of rock. The vines, planted in 1954, are on steep slopes that are ideally exposed to morning sunshine. 200 cases annual production. Seriously old vines planted in 1910 from a climat that produces some of the most powerful and elegant expressions of Pinot Noir on earth. 133 cases annual production. We also have some of the 2013 vintage available at the same pre-arrival prices. Stop by the shop any time on Saturday for a taste of Dominique Gallois’ 2005 vintage Gevrey-Chambertin produced from parcels of the clos surrounding the Gallois home. Even if you don’t intend to cellar these wines for a decade this tasting is a window into the longevity of his wines. We also have other 2005 vintage Domaine Gallois wines available in very limited quantities.